(25 cm), vi, 248 pp., profusely illustrated. Publisher’s cloth, pictorial dust jacket, original plain card slipcase. 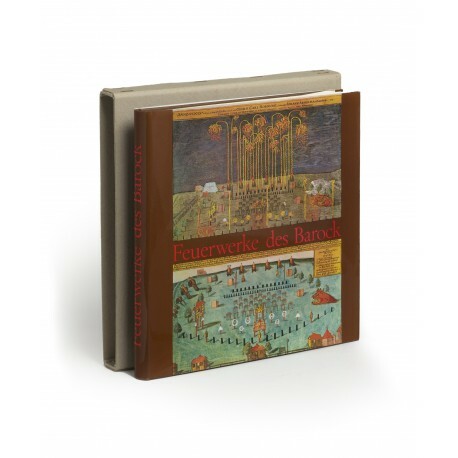 - A “magnificent study of baroque pyrotechnics in the Holy Roman Empire. 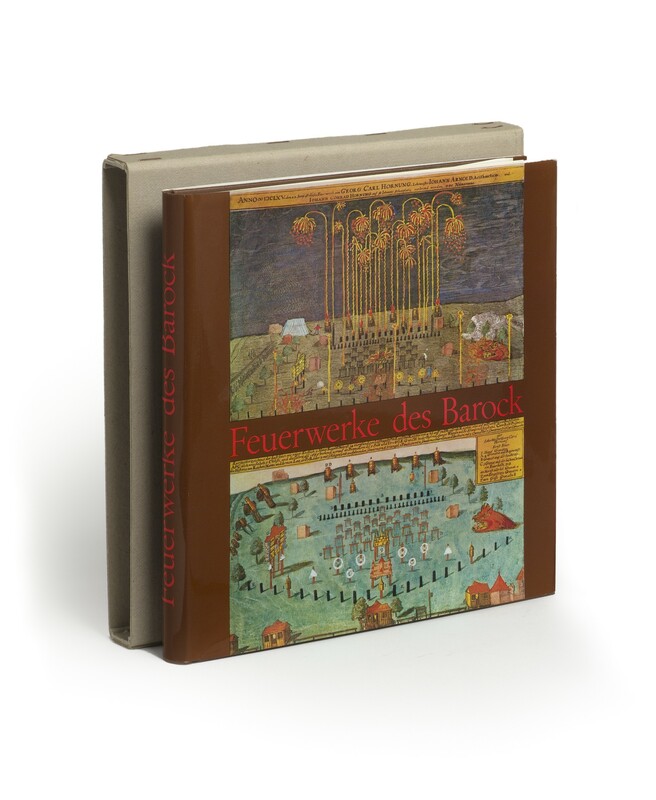 Stylishly written, its reconstructions, explanations, verbatim reports and illustrations, both verbal and visual, elegantly reflect the original aims of these astonishing entertainments: to delight the eye and inform the mind. A pleasure to handle, this is a book for both publishers and fortunate owners to be proud of” (Peter N. Skrine, in The Year’s Work in Modern Language Studies, volume 36, 1974, pp.659-660). “The bibliography and illustrations will be especially useful to historians of pyrotechnics” (Jack Goodwin, in Technology and Culture, volume 17, 1976, p.340. ¶ Superior copy in new condition.